Bjarke Ingels' firm has been appointed to help build a new brand identity for the five countries that make up the Nordic region. BIG is working with advertising agency Mensch, technology company Area9 and design brand Ole Lund Creative to create the new collective identity for the Nordic territories: Denmark, Finland, Iceland, Norway, Sweden, Greenland, the Faroe Islands, and the Åland Islands. The Branding and Positioning of the Nordic Region initiative intends to differentiate the region from the rest of the world and leverage its potential. The contest organised by the Nordic Council of Ministers called for entrants to create new place branding for the territories – an umbrella identity that will represent the region's influence on other areas of the world. "The Nordic Region has momentum," said the organisers. "In an effort to capitalise on this, we're launching a branding project which unites shared Nordic values, symbols, experiences, and associations so as to position the Nordic region and differentiate it from the rest of the world." The team's winning proposal, named Traces of North, proposes turning the current identity of the region around, creating a new collective branding that is separate from the countries' individual personalities. "We're trying to turn it upside down, the whole idea is that the respective Nordic countries do a great deal of branding themselves," Mensch creative director Frederik Preisler told Dezeen. "The best way to do that is actually to turn it around so, instead of showing you more pictures of the beautiful Danish forests, we will try to bring the North out to the world." "Our ambition is to present a more multi-faceted image of the region," added Mensch chief executive officer Christina Tønnesen. "We want to create a living manifestation of the Nordic brand, the Nordic mindset and Nordic 'traces' in the world." The jury, made up of Nordic foreign ministries and tourism bodies, selected the proposal for its "innovative and progressive" form of place branding. "The choice is in tune with Nordic values and aspirations for innovation and new thinking," said Dagfinn Høybråten, secretary general of the Nordic Council of Ministers. 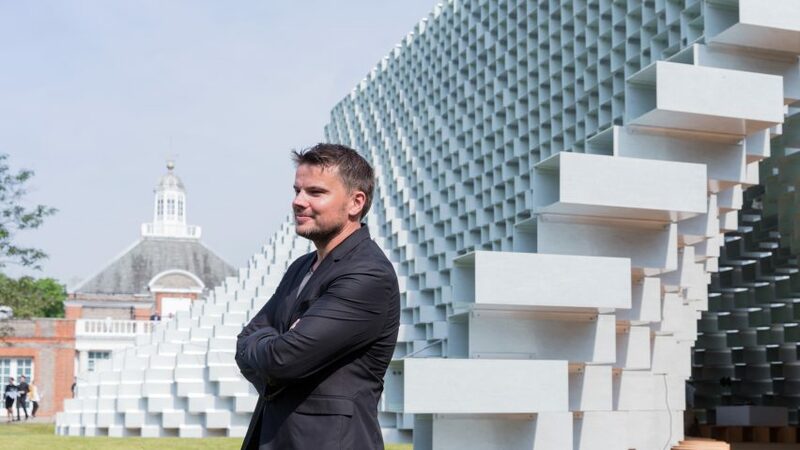 BIG was founded in Copenhagen in 2005 by Danish architect Bjarke Ingles, who was named the most popular living architect in Dezeen's 2016 Hot List. Recent projects by the firm include a new office building in Philadelphia, an apartment tower in Manhattan and a design for the world's first Hyperloop high-speed transportation system in Dubai.